This article is 206 days old. 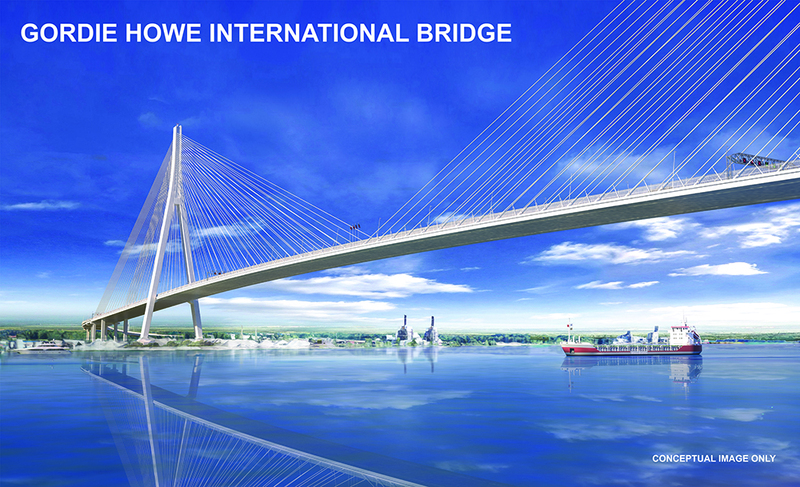 The new Gordie Howe International Bridge will cost $5.7 billion. This figure includes $3.8 billion for the design and construction of the project, financing costs, and $1.9 billion will be allocated for the operation-maintenance phase including financing. Construction is expected to take 74 months with the bridge scheduled to be in service by the end of 2024. 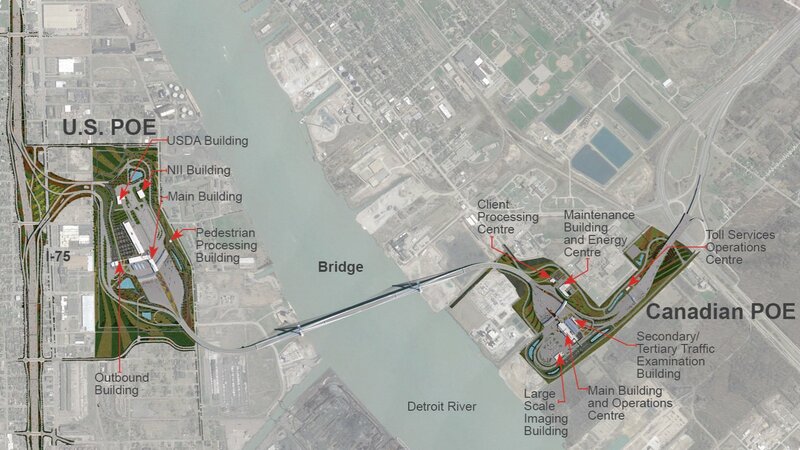 It was announced in July that Bridging North America had been selected as the preferred proponent to design, build, finance, operate and maintain the new crossing. Today’s announcement is the final step before construction gets underway. Bridging North America will receive progress payments during construction and a substantial completion payment at the end of construction. They will also receive monthly payments for operations and maintenance over the 30-year operating period. Bridging North America has been meeting with local companies, organizations and unions to discuss opportunities for partnerships. Representatives have also met with educational institutions to help develop the next generation of skilled trade workers. They anticipate the creation of 2,500 direct, on-site jobs including direct hires, sub-contractors and seconded individuals. The public is invited to join the Government of Canada and project representatives at a community celebration to mark the start of the project construction on October 5th, 2018, from noon to 1:30pm at Senator David A. Croll Park in Windsor.